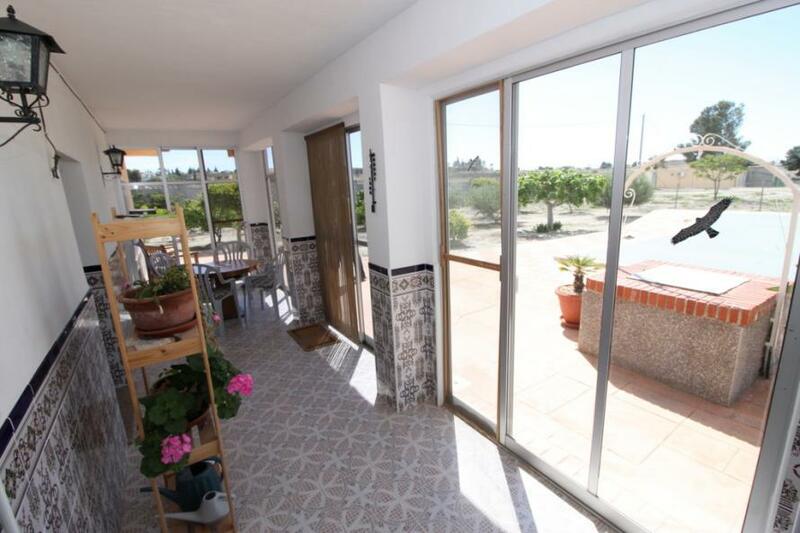 Situated perfectly on the edge of 2 towns, the spa hotels and mineral baths of Los Banos de Fortuna and the larger town of Fortuna with all the amenities, supermarkets, medical centre, weekly market and charming churches, fountains and plazas. 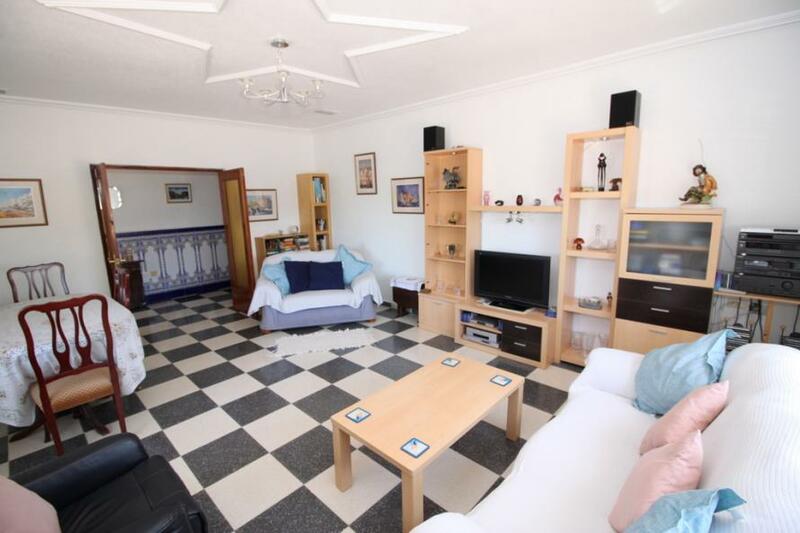 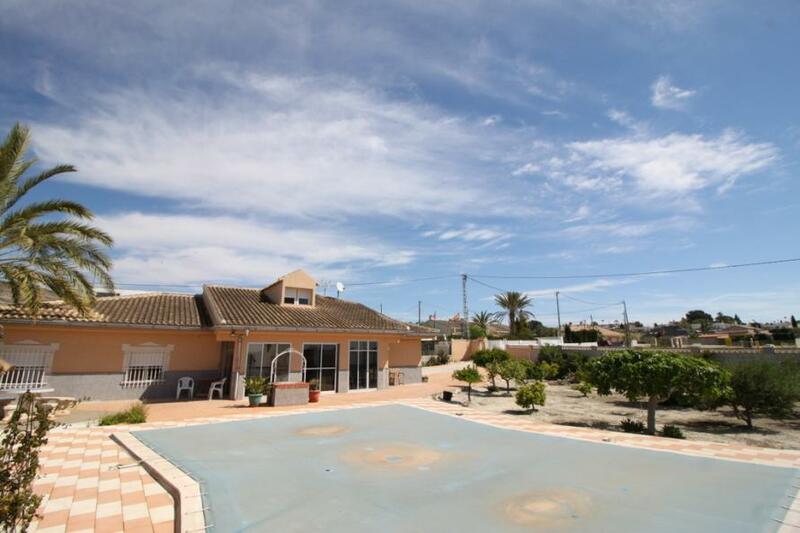 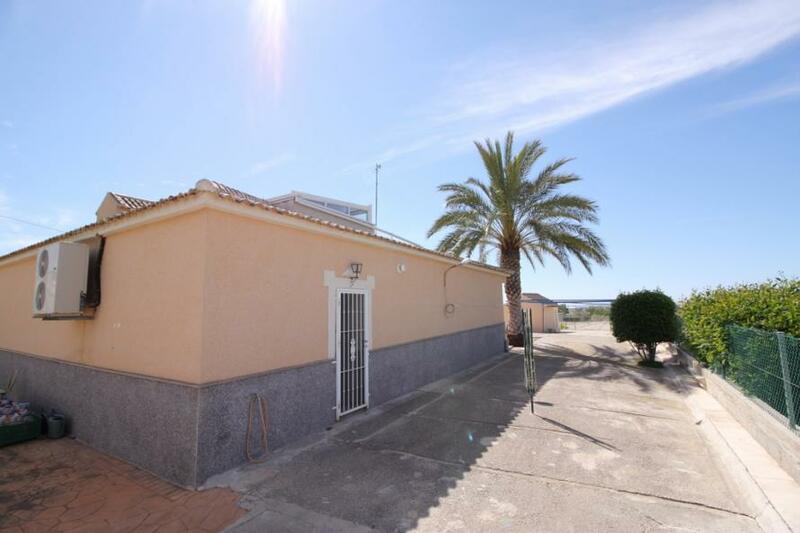 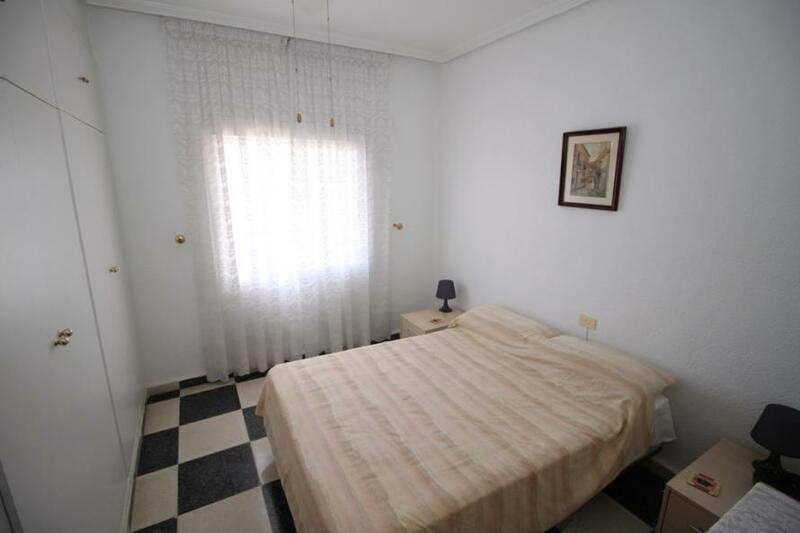 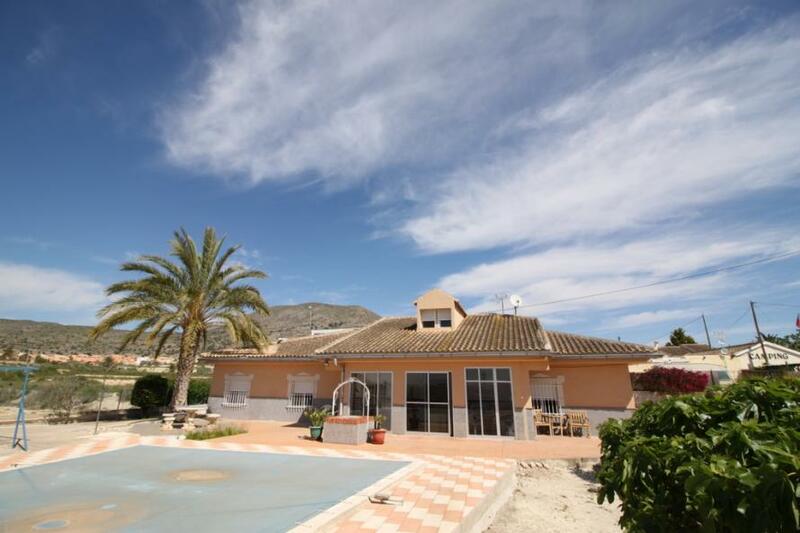 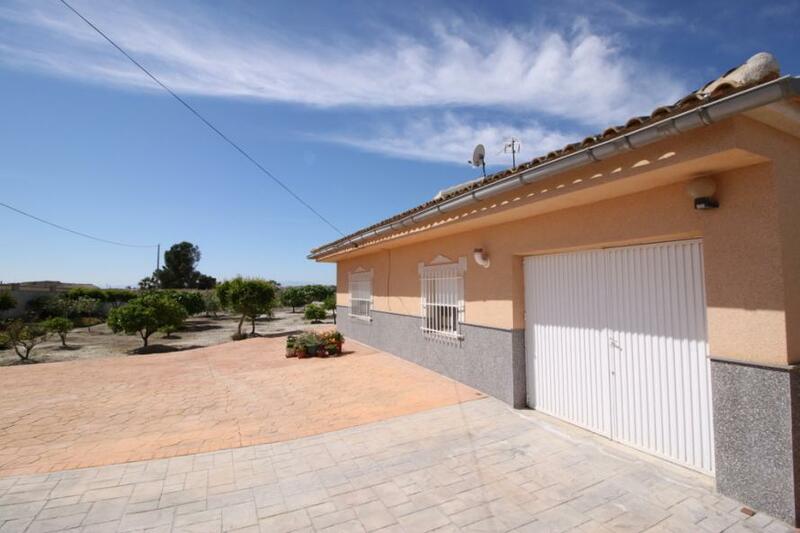 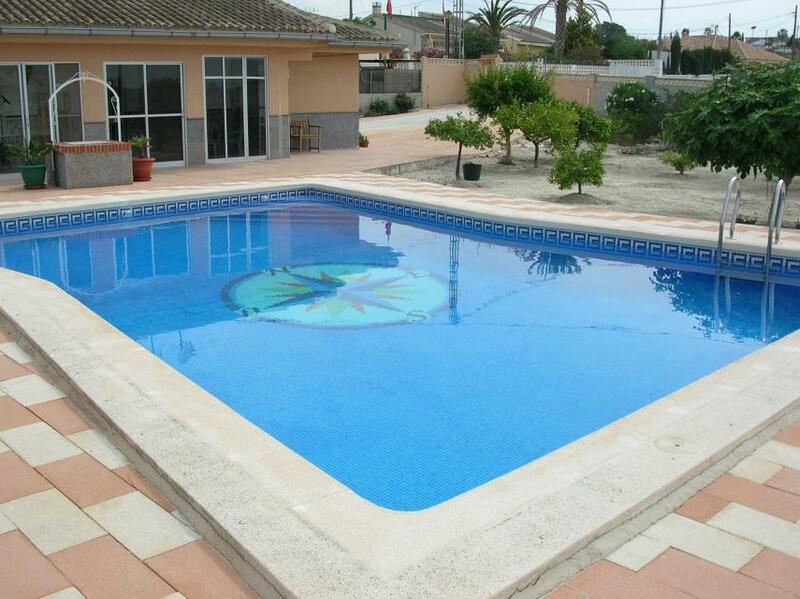 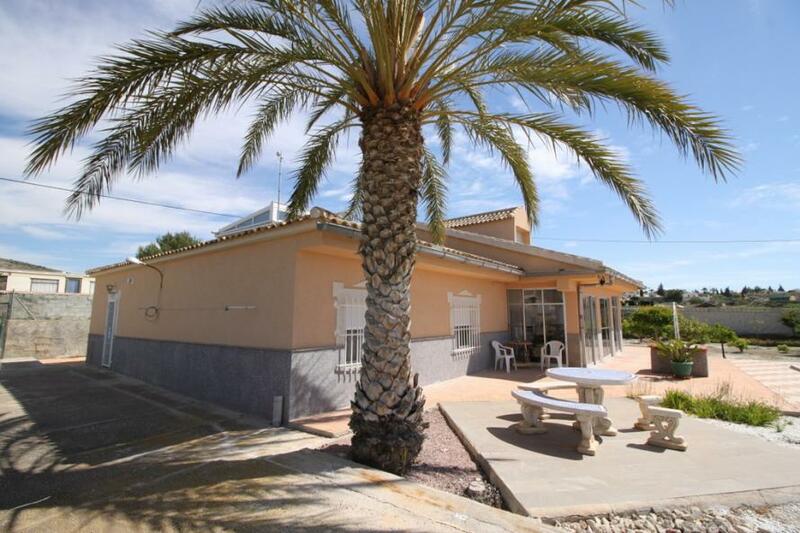 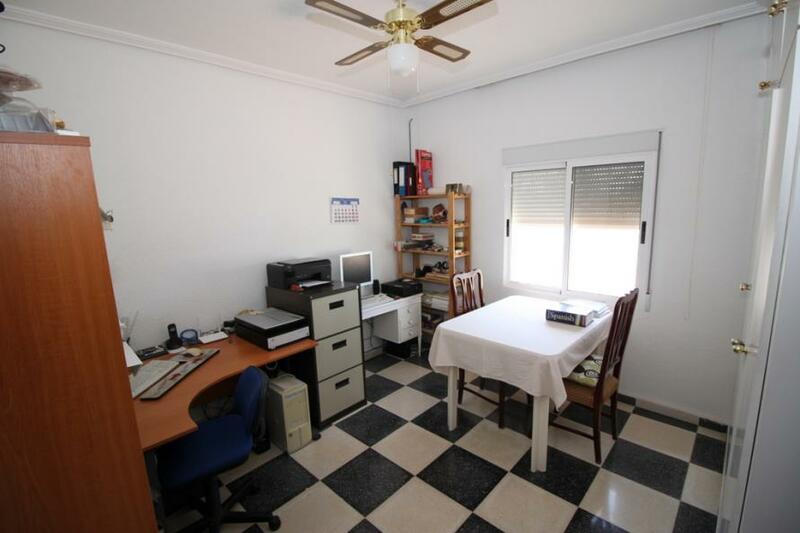 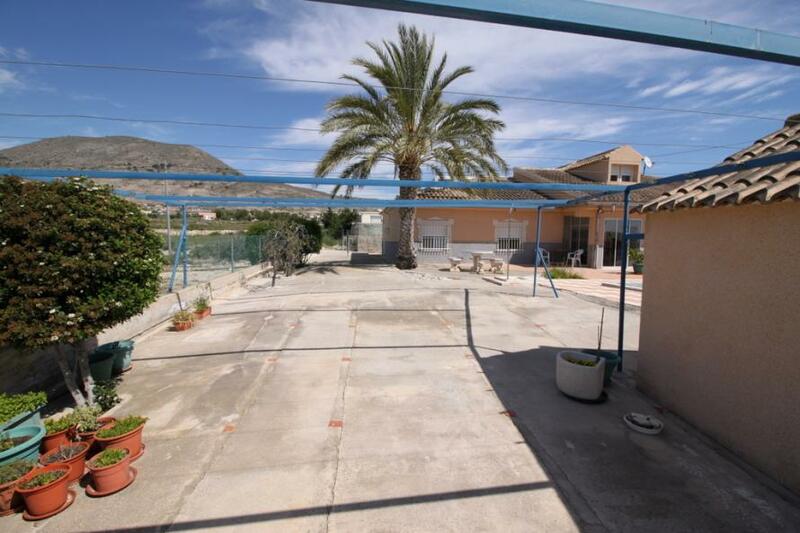 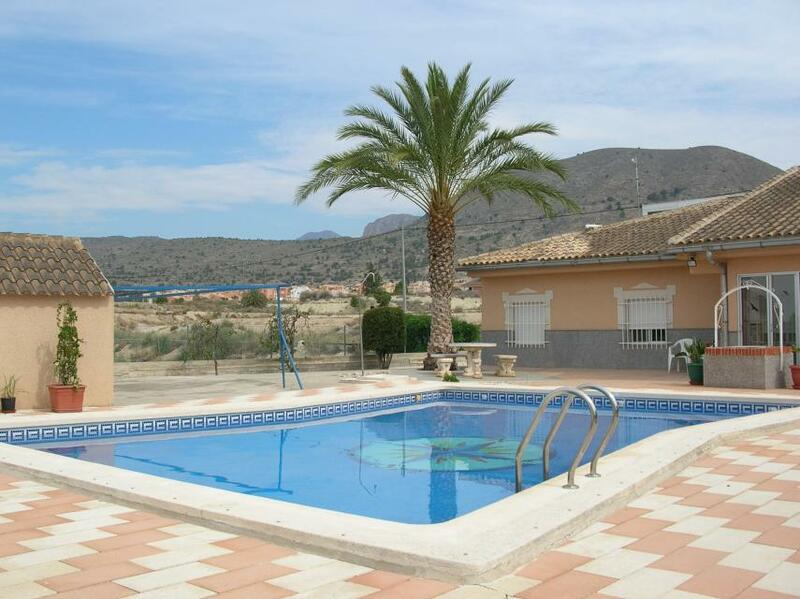 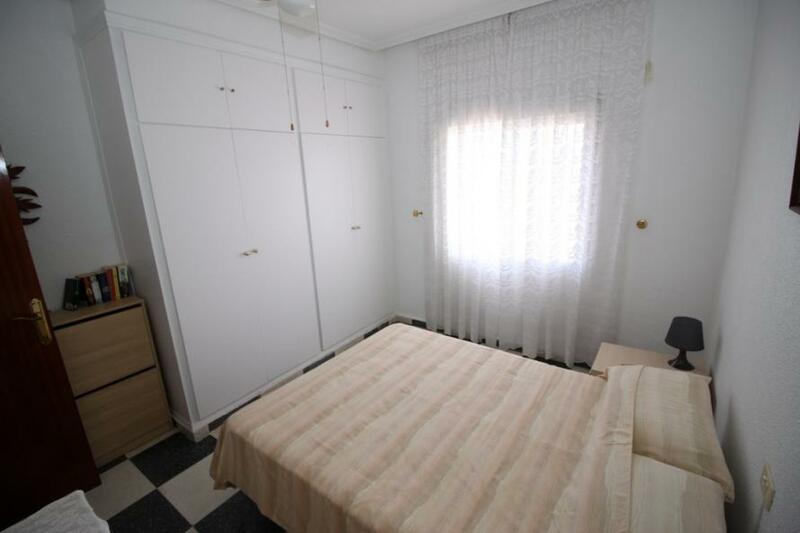 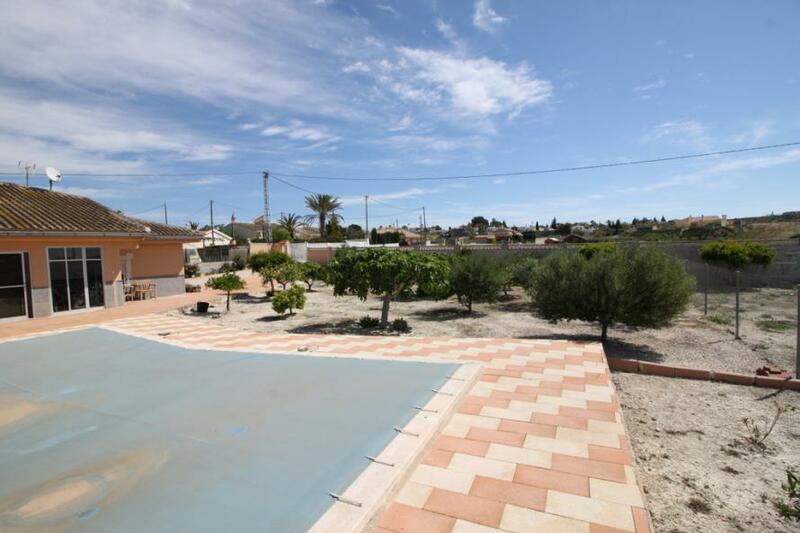 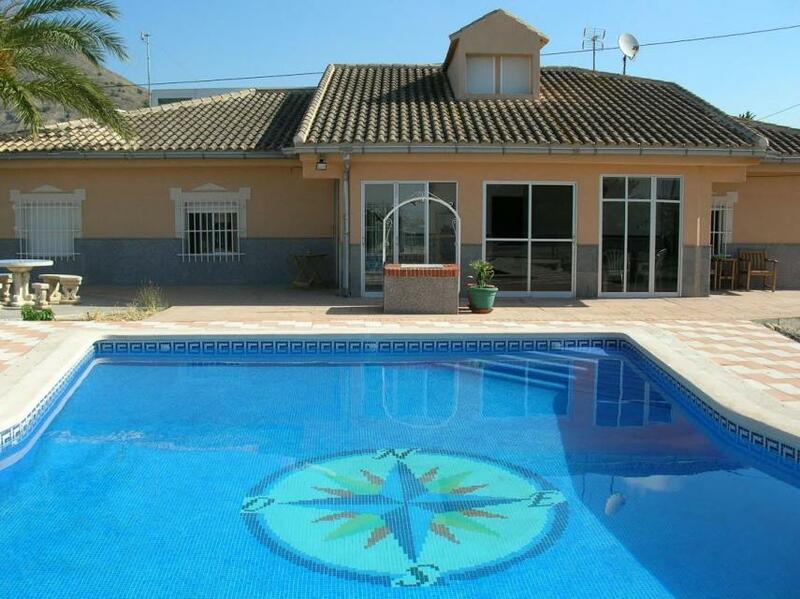 30mins to Murcia city and under an hour to both San Javier and Alicante airports. 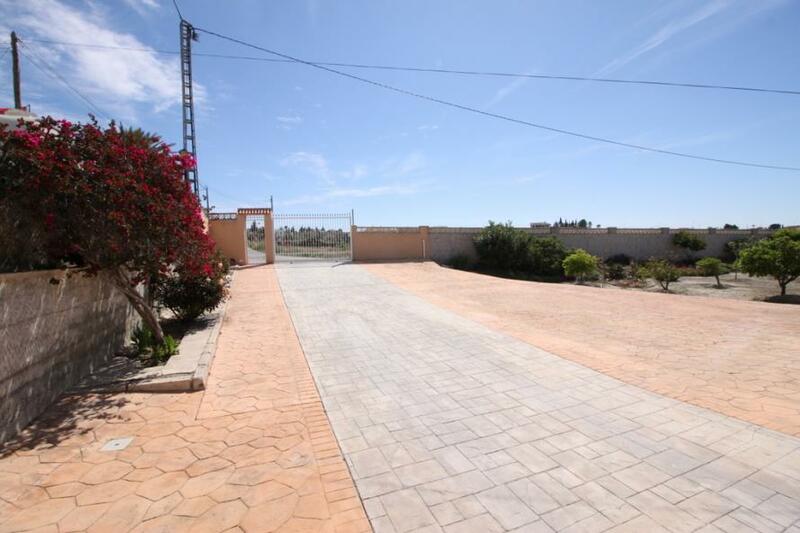 The villa has good access on flat tarmac roads. 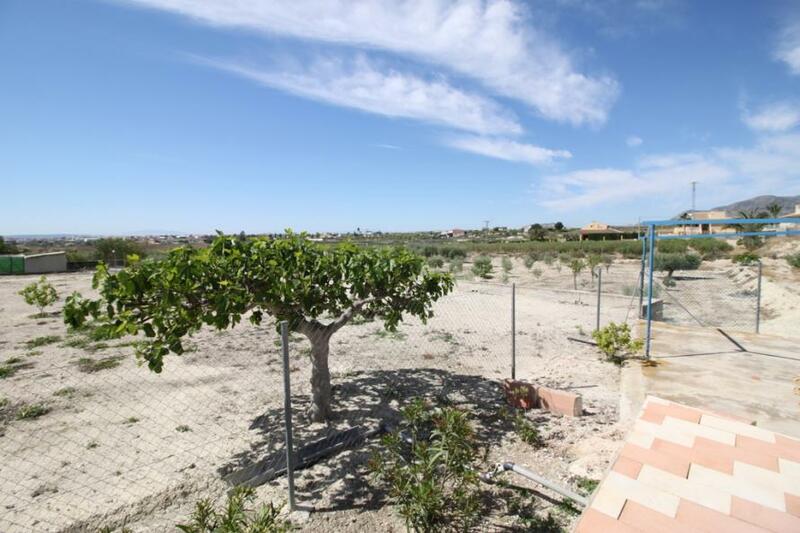 There is a pedestrian entrance gate and larger sliding gate for car access which takes you to a smooth driveway facing the fruit orchard and villa. 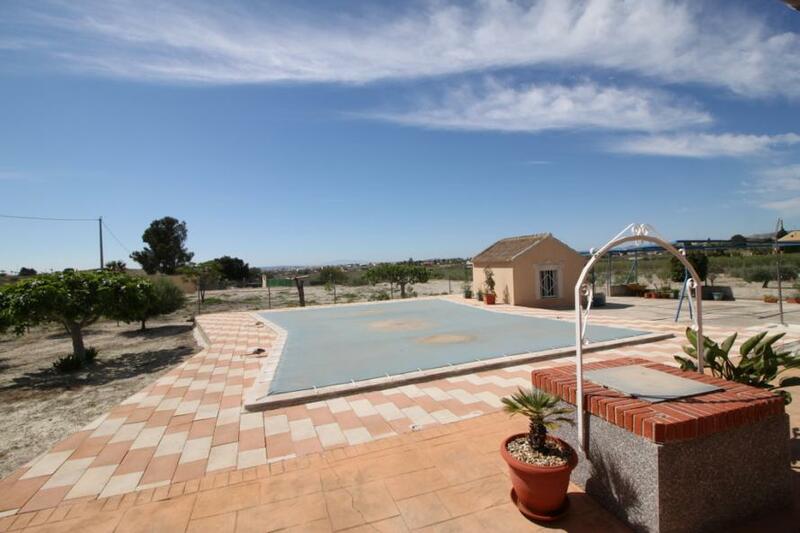 The entrance overlooks the extensive pool area, which reveals a 9x7m pool with a well tiled sunbathing area around the water and a small pool house. 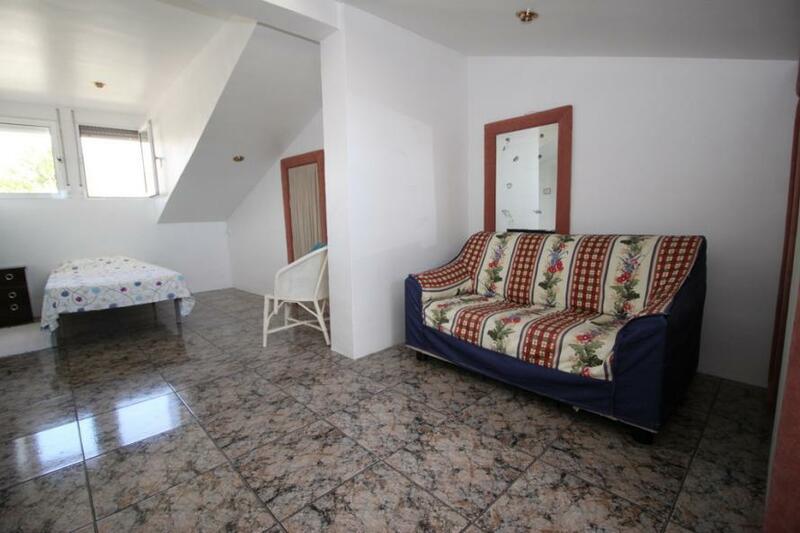 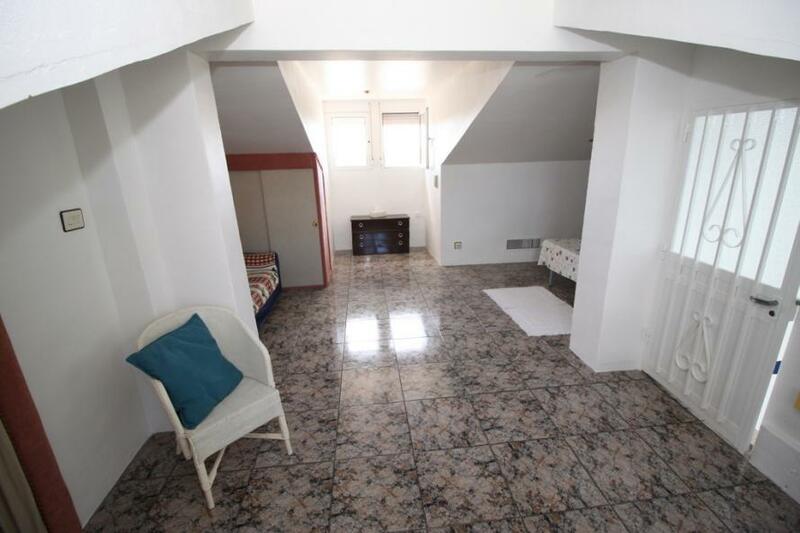 Inside the property there is a glazed sun room, perfect for enjoying the sun during the winter months. 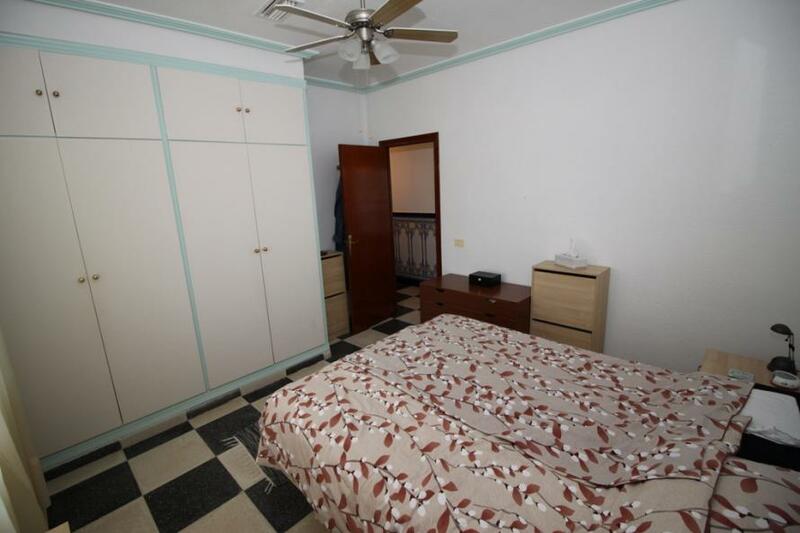 The entire property has central air conditioning, hot and cold. 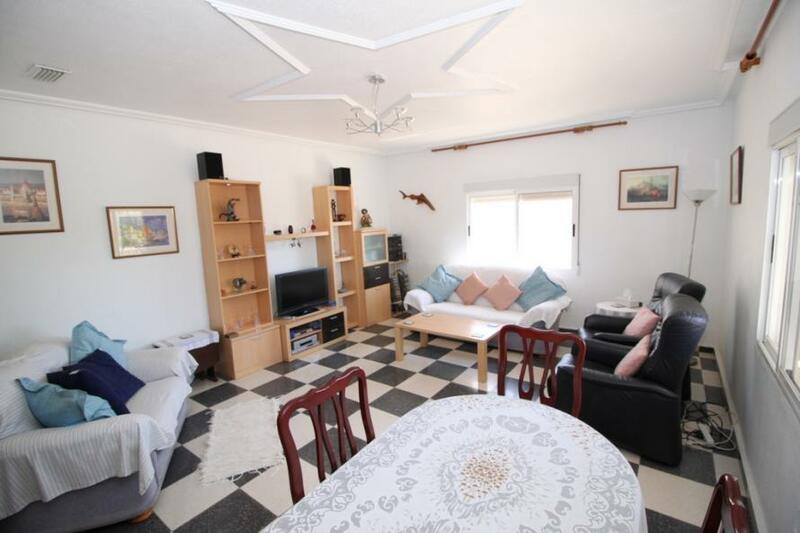 The living room is a bright and large square shape, with a ‘star’ shaped ceiling cornice. 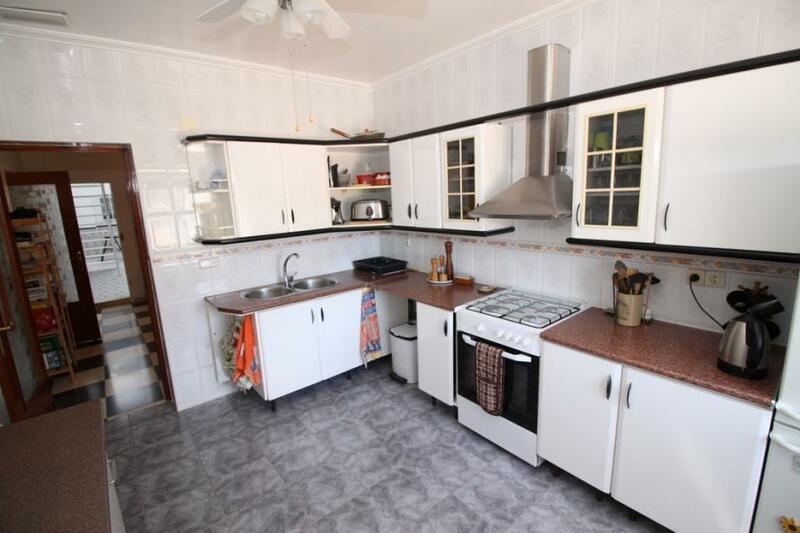 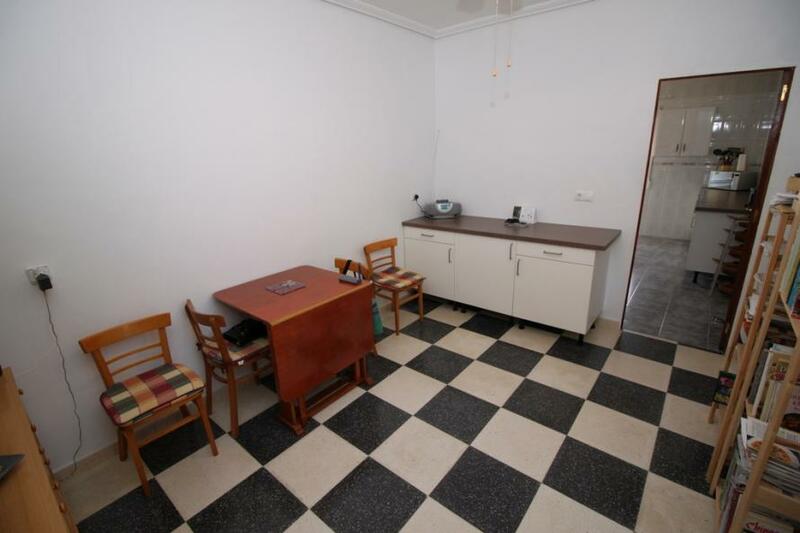 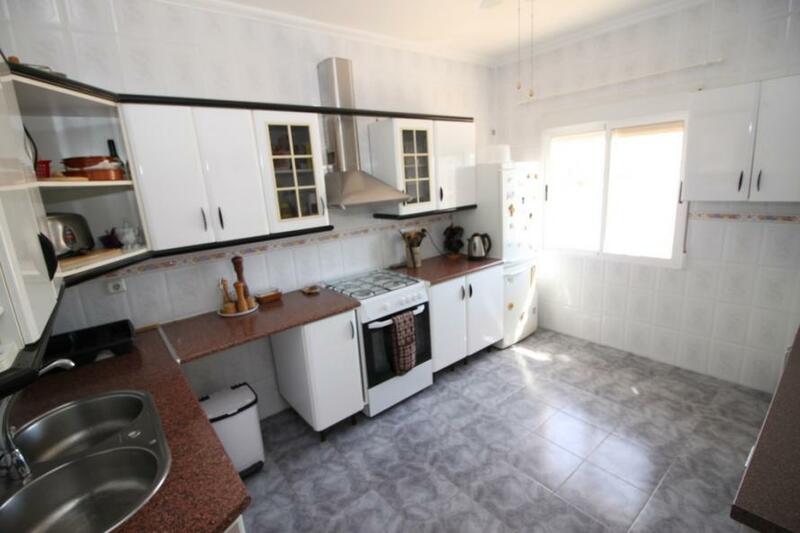 The kitchen is fully fitted with 2 sinks and a large dining/additional kitchen storeroom. 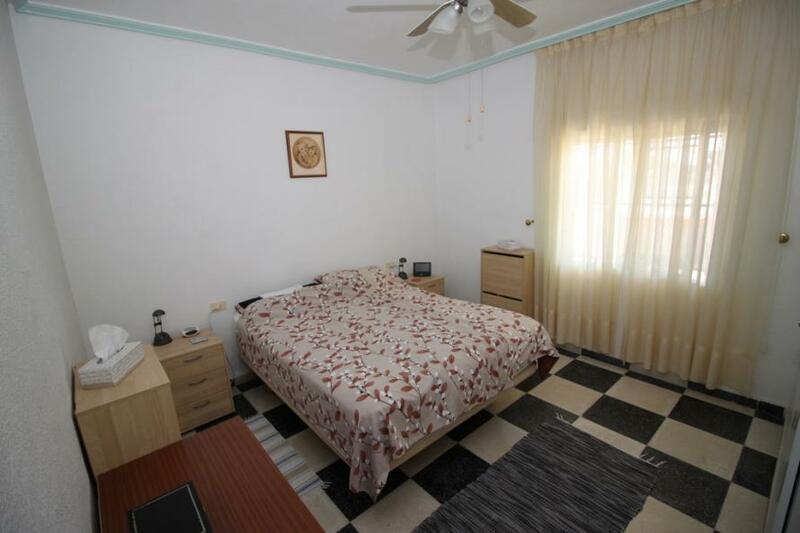 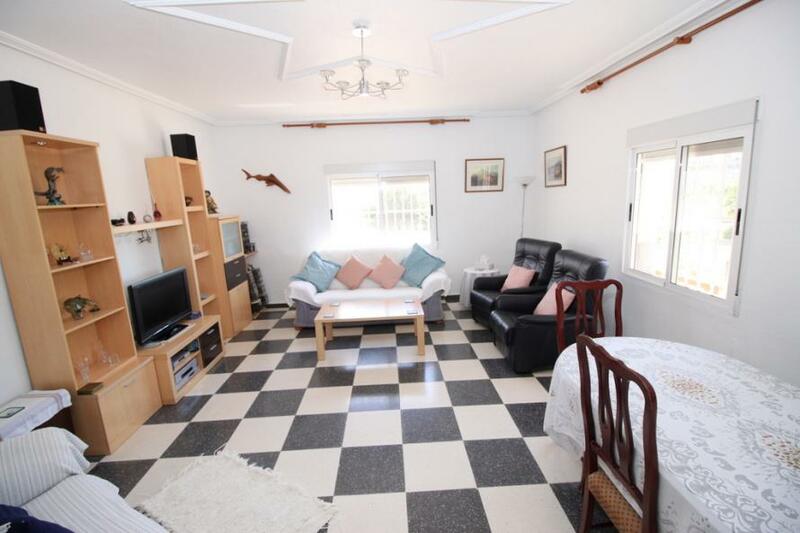 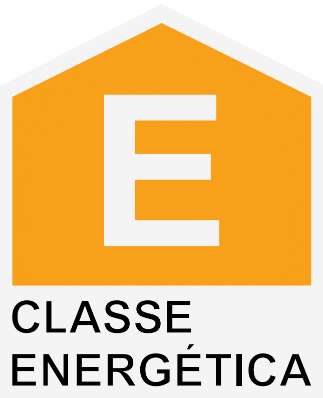 The 3 bedrooms in the main part of the house are all large doubles with built in wardrobes ceiling fans and the central air conditioning. 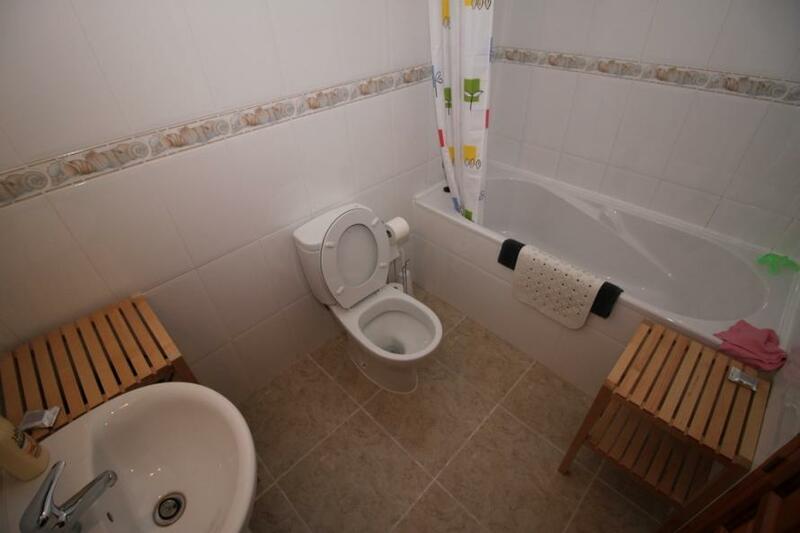 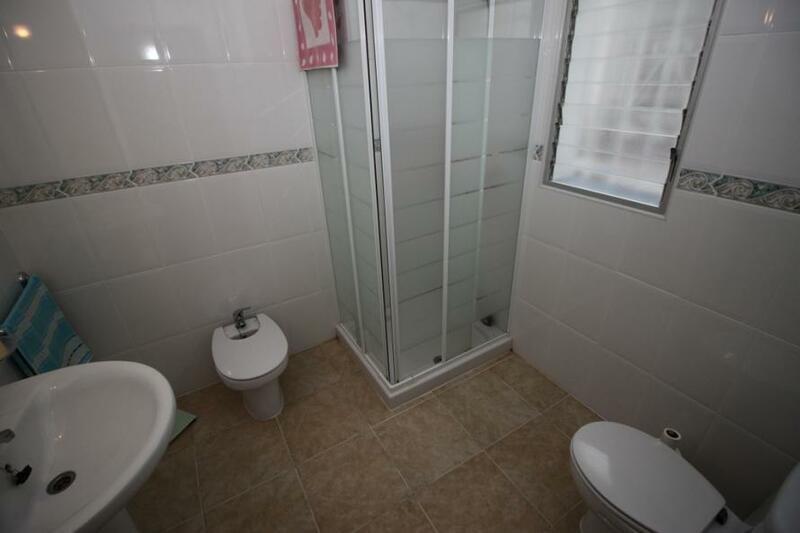 There is a modern shower suite finished in bright white. 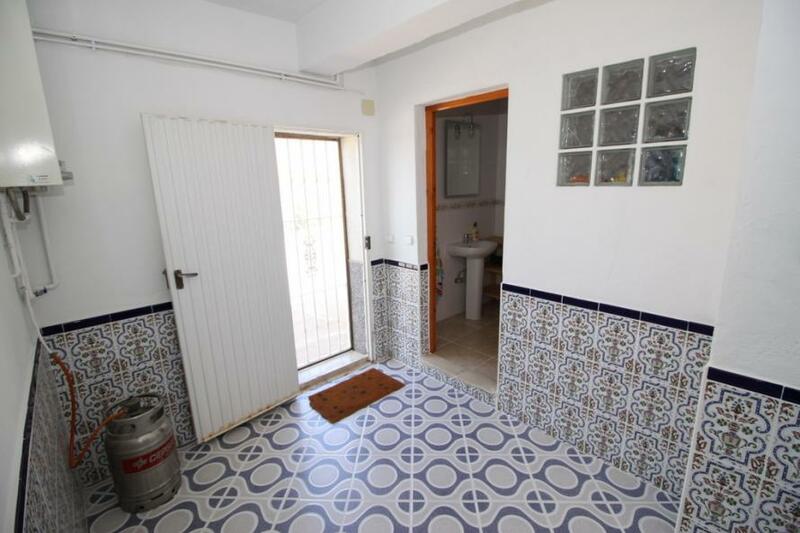 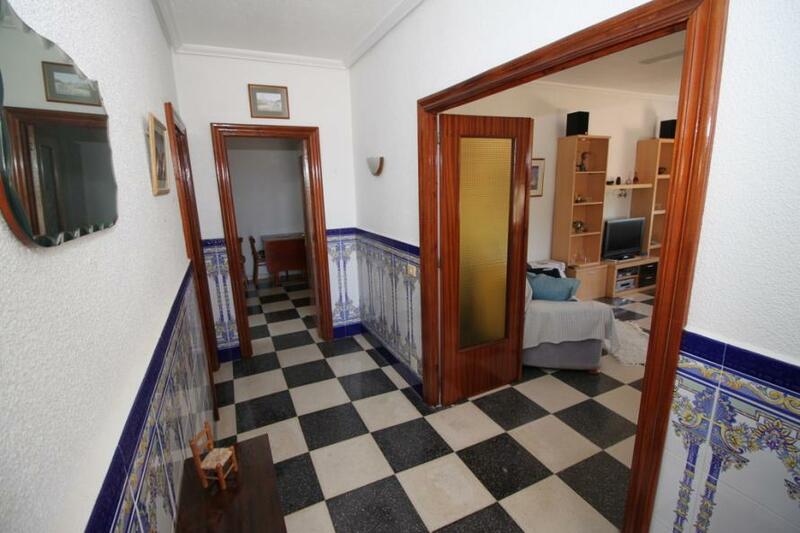 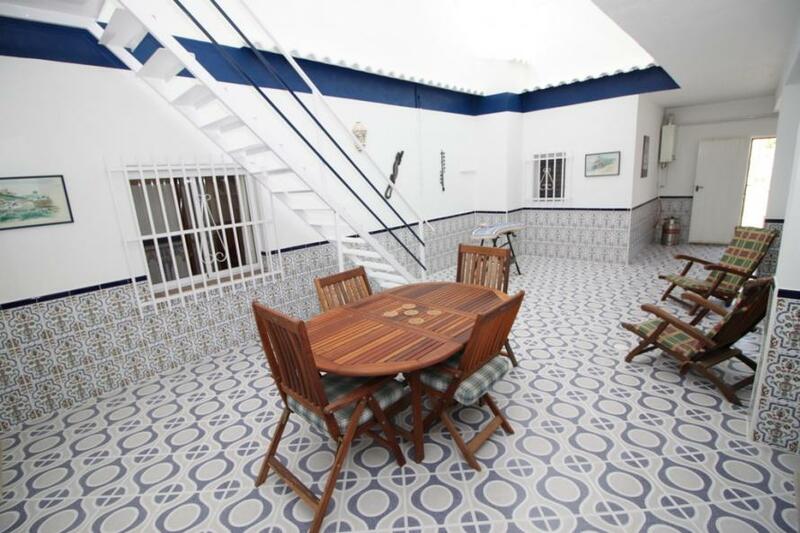 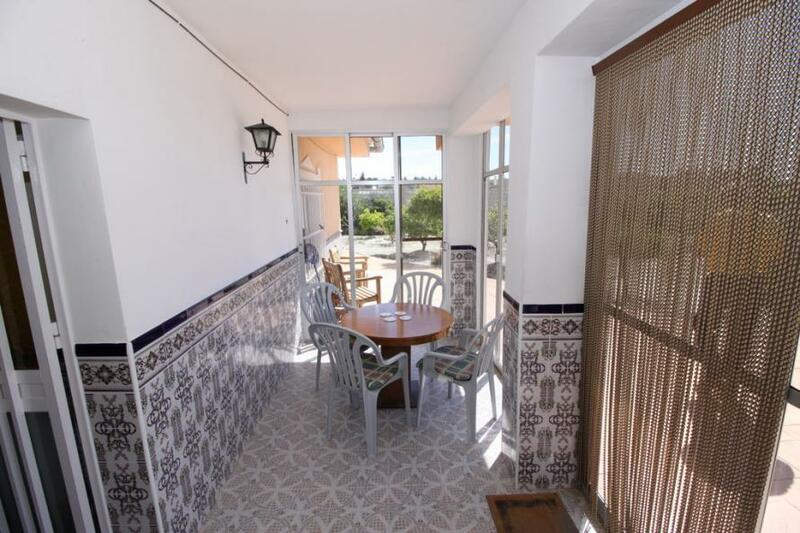 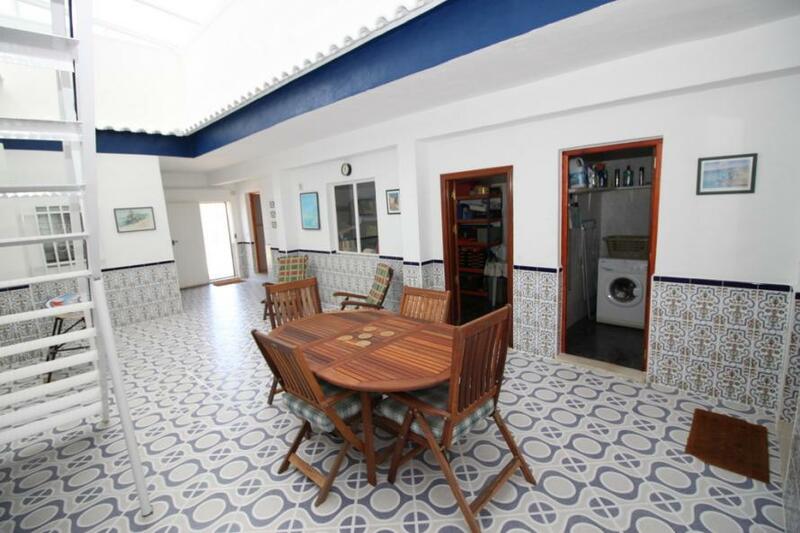 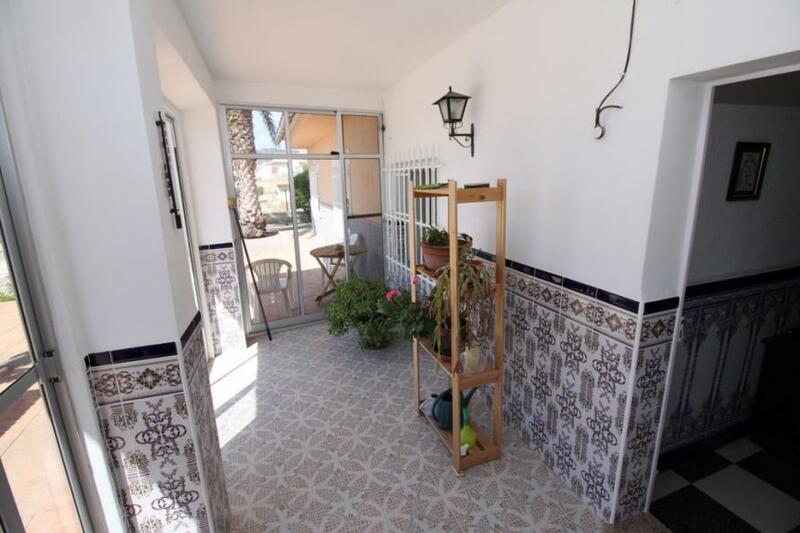 There is a large, bright and high central courtyard which is beautifully Spanish with traditional tiling and a metal staircase leading to the attic guest room. 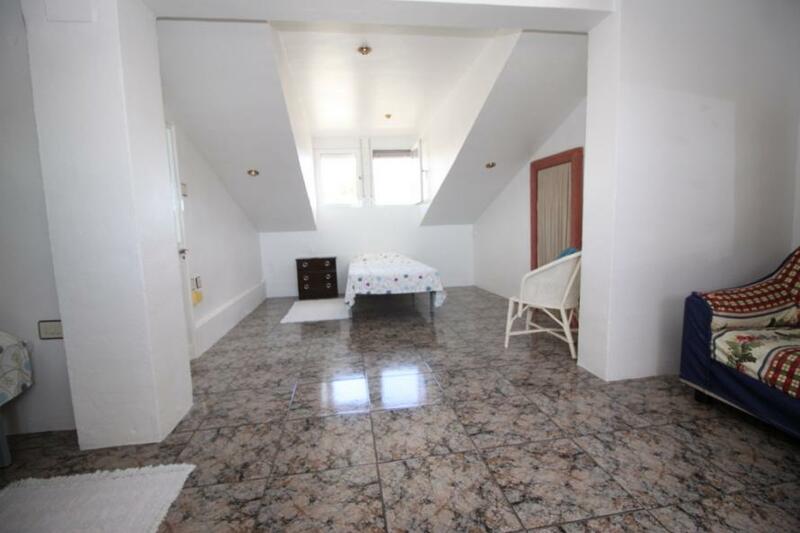 The roof is modern (installed 6year ago) and reflective ensuring the area stays temperate all year. 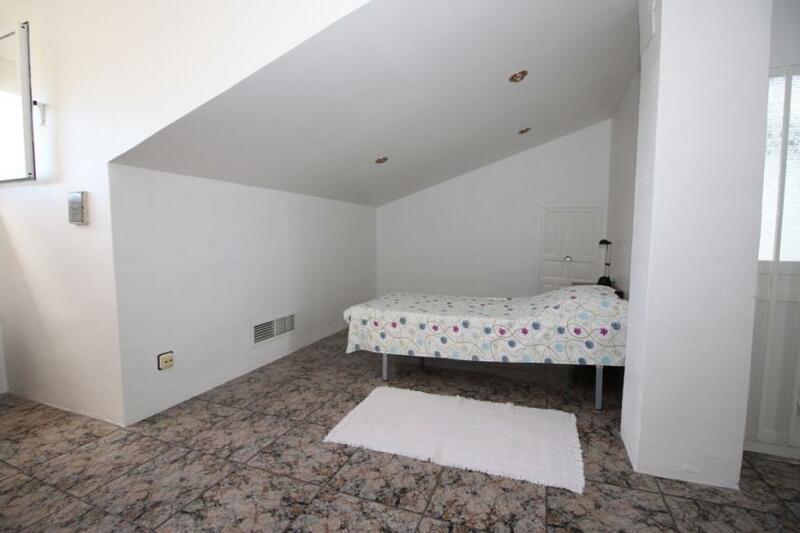 From the courtyard you can access the large garage, the workroom/additional bedroom (with central air), a laundry/storage room and a bathroom. 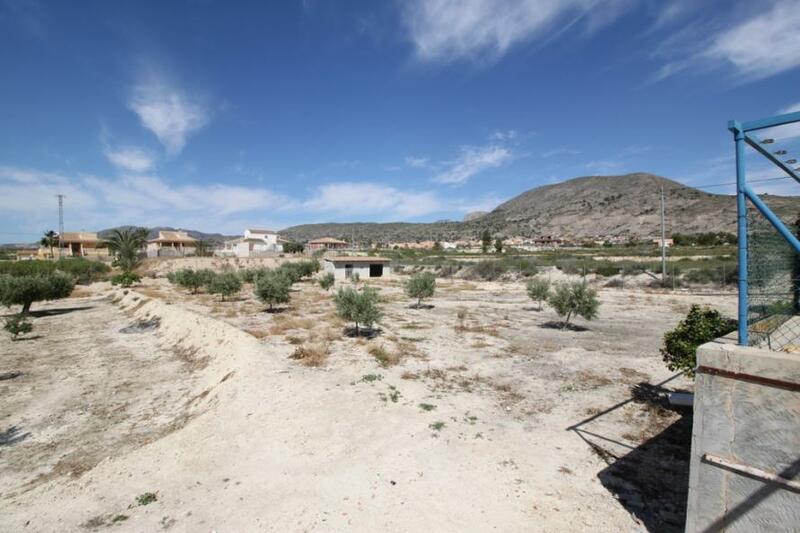 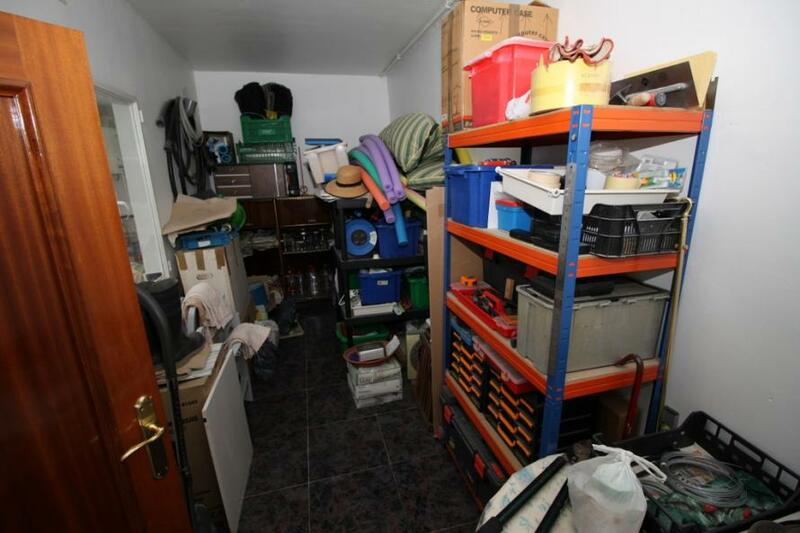 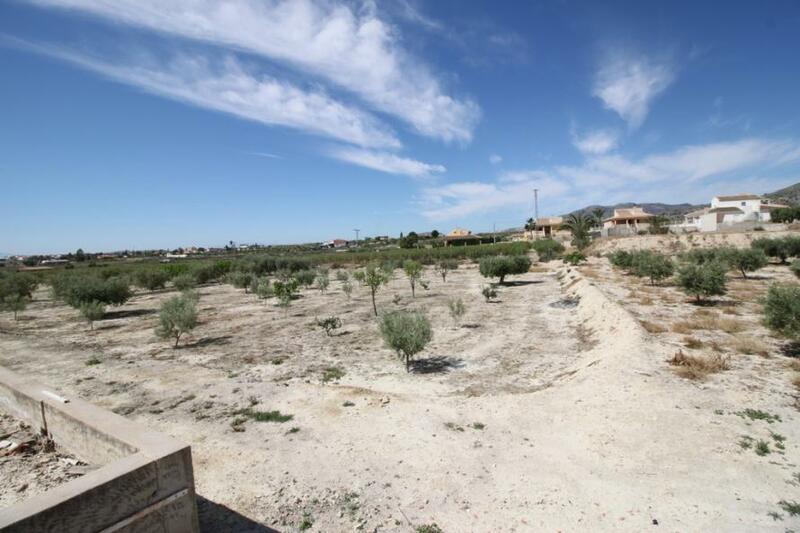 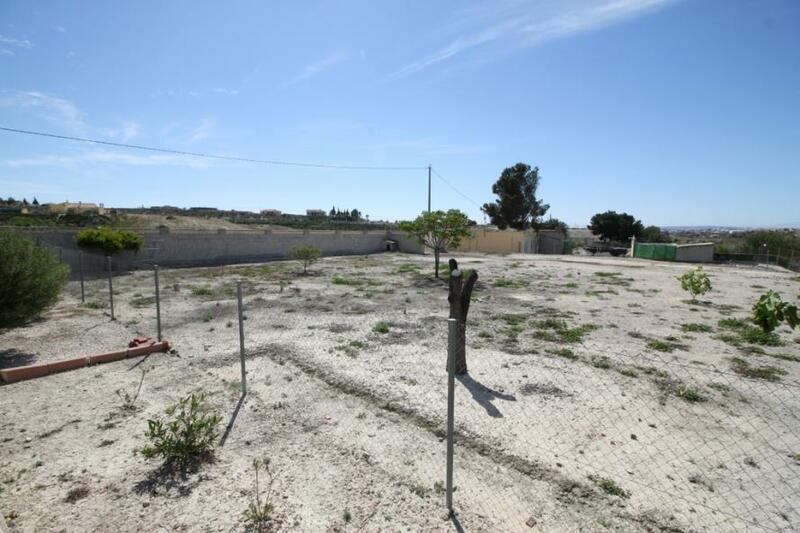 Approximately half of the plot has olive trees, a large storage building that could be converted into further guest accommodation, stables or a garage.